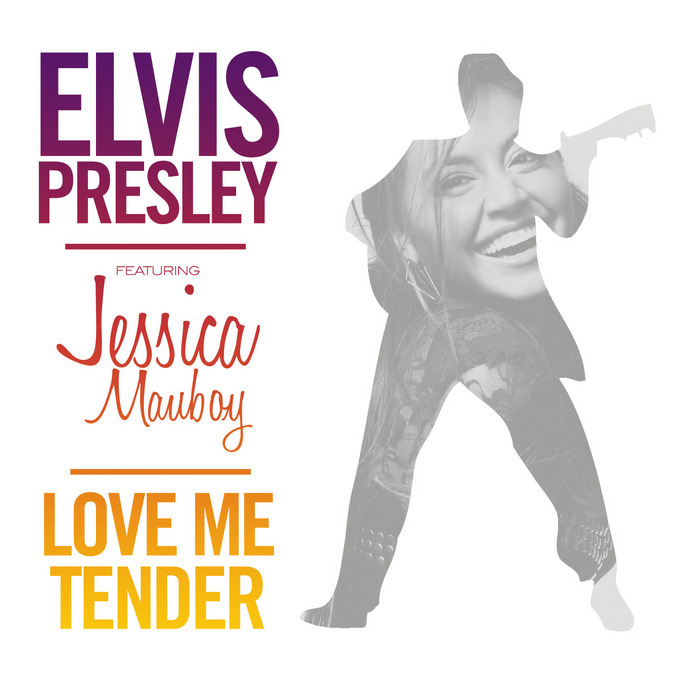 Surely it’s got to be one of the more unusual pairings in pop history… The King of rock and roll, Elvis Presley, along with Australian R&B starlet Jessica Mauboy. But it’s the twosome’s version of ‘Love Me Tender’, the second single to be lifted from the new ‘Viva Elvis’ album, that Sony Music has serviced to Australian radio this morning. According to Sony, Jessica’s vocals for the recording were laid down in Australia and were then mixed over in the US. Of course, the LP is out now. Bloody ‘ell!! Why all the negativity? For one – this track has nothing to do with Jess’ new album & there’s absolutely nothing wrong with an artist being proud of co-writing tracks for an album, utilising the talents of international guest artists … or using that fact to try and help drive sales! I personally think that this (and the ‘Viva Elvis’ album as a whole) is a great way of getting Elvis heard by younger generations who only hear his tracks when included in ads, Vegas parodies & movie soundtracks!! Long live the King – by any means necessary! As a big fan of Elvis, I hope radio gives this song a wide wide wide berth, its an insult to him memory, praying to the radio gods! !